A combine of matching earrings designed during a similar fashion has conjointly been provided to complete the set. 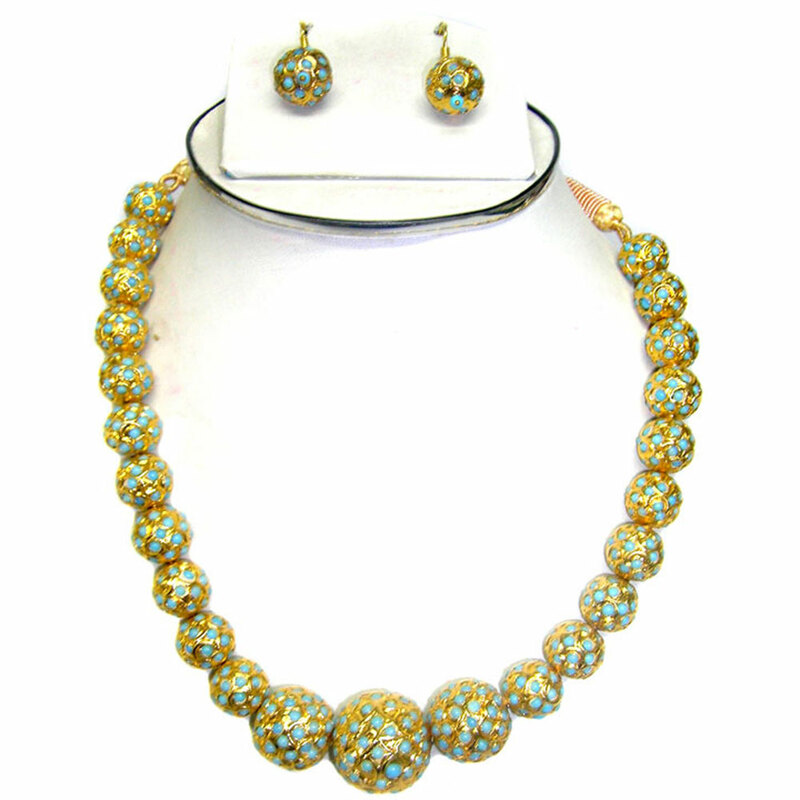 This contemporary looking necklace features balls of various sizes molded from micro gold plated brass metal and adorned majestically with magnificent turquoise stones adding to Read More..the overall beauty of the necklace. A pair of matching earrings designed in a similar fashion has also been provided to complete the set. Show Less..